Ohio's "Sweetest" Trails - Ohio. Find It Here. Ah, Ohio. The “Birthplace of Aviation,” home to the greatest number of astronauts, and eight United States Presidents. The perfect place to shop, catch a game, explore the great outdoors, embark on a foodie adventure – the list goes on. And with all there is to do and see, it’s clear that Ohio is pretty sweet. But can Ohio get any… sweeter? With trails highlighting the best ice cream, donuts, and candies the state has to offer, you’ll agree (in more ways than one) that Ohio is indeed the sweetest state! Ohio and ice cream – the two go hand in hand. 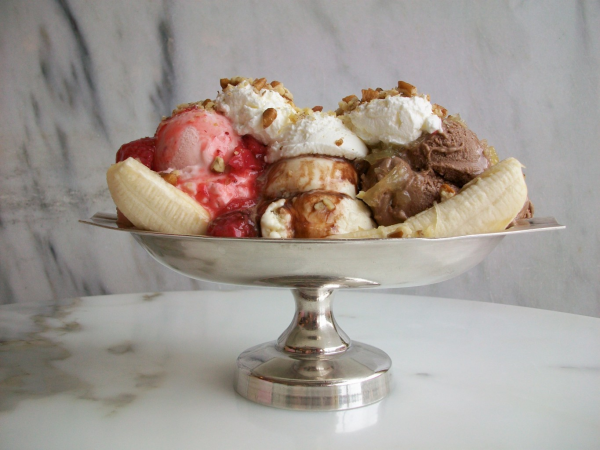 With hundreds of ice cream shops around the state each known for their own unique flavors and creativity, you’ll find all your favorites and more on the Ohio Ice Cream Trail. Swing by one of this trail’s twenty stops throughout the state, sampling everything from Cleveland’s Sweet Moses’ “Terminal Tower,” (a sundae made with a scoop of each of their classic flavors and finished off with five toppings – almonds, pecans, sprinkles, and more) to Southwest Ohio’s Aglamesis Brothers’ specialty Italian ices, available in a variety of flavors. It’s never too chilly for ice cream. Grab the family or a few friends and sample sundaes, floats and more on the Ohio Ice Cream Trail. Download a map and grab your official passport for the Butler County Donut Trail! 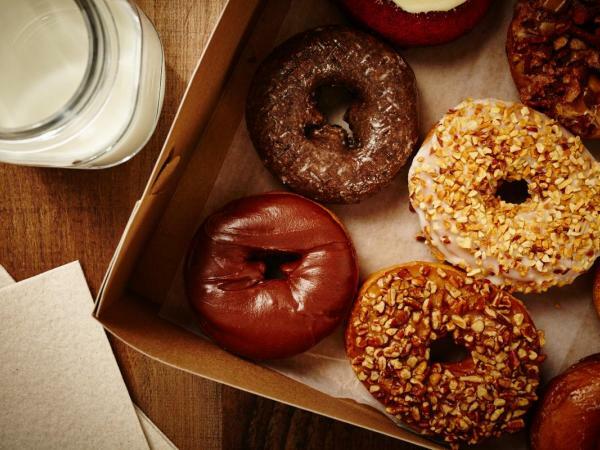 Classic glazed, maple bacon, German chocolate – you can taste donuts of all varieties at one of the twelve stops on this Butler County trail. You’ll even find unique concoctions, like cronuts or apple cider and orange juice-flavored donuts! And the fun doesn’t stop there. Conquer all the stops along the trail and you’ll earn an official Donut Trail t-shirt! If you’re not familiar with these peanut butter and chocolate delicacies – this trail is the perfect way to get acquainted! Developed by Miami County Convention and Visitor’s Bureau, the Ohio Buckeye Candy Trail boasts 31 stops each with their own unique, delicious interpretations of buckeye candies. 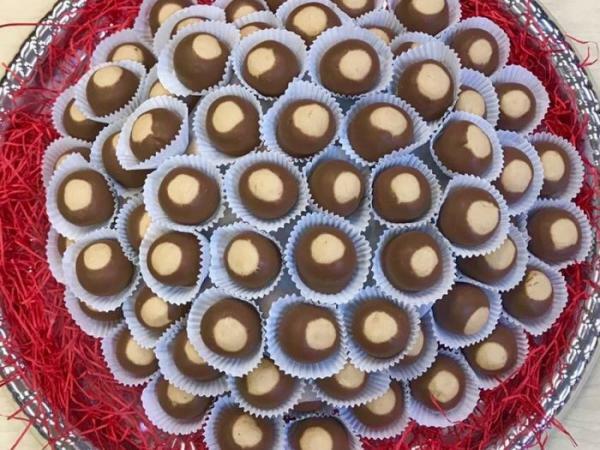 Find the perfect candy buckeye and coffee pairing at Winans Chocolates and Coffees in historic, downtown Piqua, or taste a perfected buckeye recipe at Marsha’s Homemade Buckeye Candies – where buckeyes are the only candies this shop makes. Some things just go together – peanut butter and chocolate included. Sweetness awaits you on the Ohio Buckeye Candy Trail! For more food and travel inspiration, Find It Here. at Ohio.org. Mary is the Public Relations Intern for TourismOhio, where she assists the public relations team in creating content that showcases all the excitement and fun available right here in Ohio. A senior at Capital University, Mary studies Communication with an emphasis in Public Relations and helps lead her sorority chapter. Additionally, she enjoys crafting, design, and spending time with friends and family.